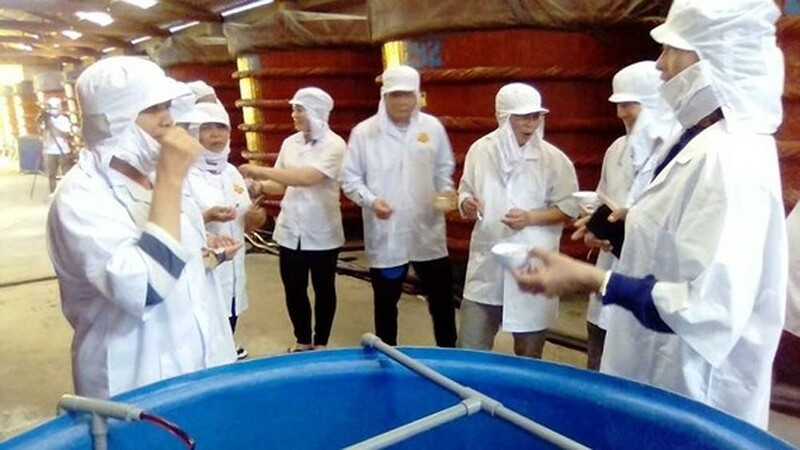 The delegation from the National Assembly Committee on Science, Technology and Environment on March 28 had a meeting with the People’s Committee of Phu Quoc Island District and the Phu Quoc Fish Sauce Association on quality control and food safety in fish sauce production in Phu Quoc. At the meeting, the association of Phu Quoc fish sauce reported the delegation about establishment and application of standards and technical standards in making and trading fish sauce as well as pointed out difficulties and entanglements. 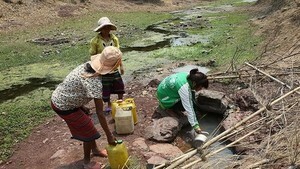 The association also proposed the People’s Committee of Kien Giang Province to save land for the relocation of Phu Quoc fish sauce handicraft village to create favorable conditions for local fish sauce makers to uphold and promote the value of Phu Quoc fish sauce which has existed and developed for more than 200 years. Local authorities also proposed the delegation to recheck standards on traditional fish sauce and separate the definition of traditional fish sauce from that of its industrial counterpart instead of equating them as the same which will cause consumers to misunderstand about traditional fish sauce. 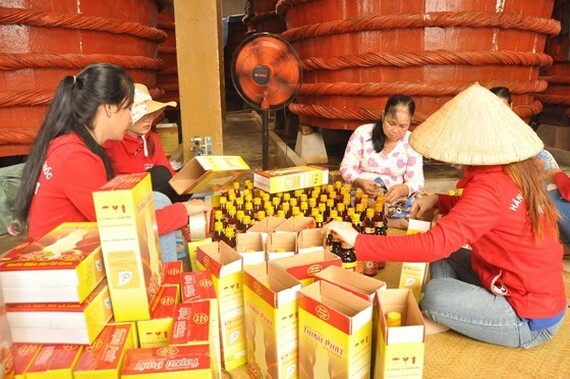 Up to now, the Phu Quoc Fish Sauce Association has had 56 members with annual production of 30 million liters. There are eight out of its 56 members having exported fish sauce to Europe. On behalf of the delegation, Mr. Nguyen Vinh Ha, deputy chairman of National Assembly Committee on Science, Technology and Environment, said that the delegation will collect the opinions and proposals of the district and report to the National Assembly Standing Committee.